Rome is often called the Eternal City, and it would indeed take an eternity to truly get to know Italy’s vibrant capital. Here is an amuse bouche of an introductory visit, including tastes of Rome’s iconic monuments, captivating neighborhoods, and memorable meals. It seems fitting to begin your visit of Rome at the city’s origins—and most marvelous of all its famous monuments: the Colosseum. Dating from the first century AD, this concrete and stone amphitheater was the largest in the Roman empire, holding up to 80,000 spectators. From here, head across the street to the Foro Romano, or Roman Forum. 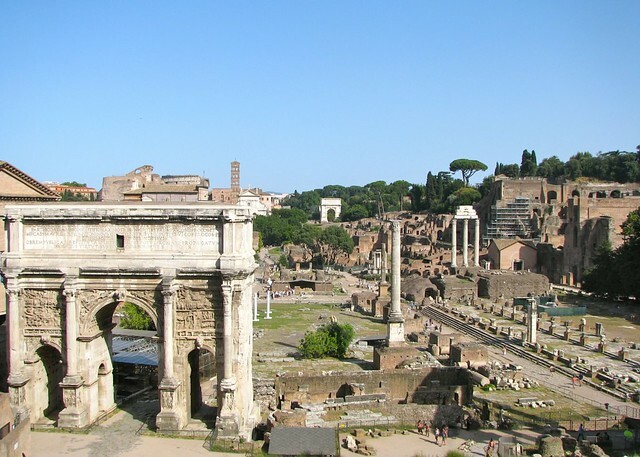 This rectangular piazza--lined by the remains of several imposing Roman civic, religious, and commercial buildings--began as a marketplace but developed into the center of Roman public life over the centuries, hosting ceremonial processions and gladiatorial matches, elections, public speeches, and criminal trials. You’ve had your first taste of Roman history and culture, and now it’s time for a well-deserved cocktail with a view. We suggest an aperitivo at one of the city’s fabulous hotel roof bars: Grande Hotel de la Minerve overlooks the Pantheon, another of Rome’s iconic monuments, or Hotel Sofitel near the Villa Borghese gardens offers a breathtaking view of the city. 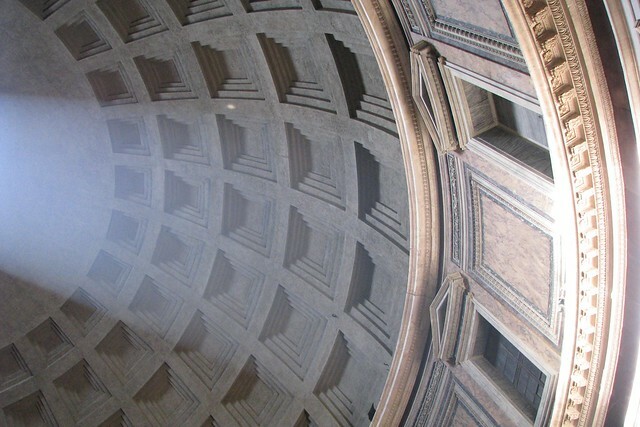 Now that you’ve seen the monumental scale of Rome, it’s time to discover the city’s more intimate side. For dinner and an evening stroll, head to the charming Trastevere neighborhood. Sabatini, in Piazza Santa Maria in Trastevere, has been one of our favorites for years, a classic Roman restaurant and long considered one of the best in Rome. Otherwise, Ristorante La Gattabuia on Via del Porto is a moderately priced trattoria located in an ancient taverna, with a simple atmosphere and no-frills, good food. Afterwards, wander the winding alleys of this historically artisan neighborhood, its cobblestone streets once thick with workshops and now with bustling outdoor cafés and restaurants. Dedicate the morning to the Vatican Museums—including the Sistine Chapel--and Saint Peter’s Basilica. Located in the Vatican City, a sovereign city-state within the city of Rome, the Vatican Museums house the immense art collection of the Roman Catholic Church, including some of the most important classical sculptures and Renaissance paintings in the world. The neighboring Basilica is one of the world’s largest churches and an excellent example of Renaissance architecture, designed by Bramante, Michelangelo, and Bernini. A morning at the Vatican calls for a rewarding repast, and a more hedonistic afternoon. Head to the area near the Spanish Steps, where you can sit down for a pizza or, upstairs, more innovative cuisine at Gusto (Piazza Augusto Imperatore, 9) or, for a more traditional meal, Matricianella on Via del Leone, 4 is a popular old fashioned trattoria with a good wine list and legendary batter-fried vegetables. If you feel like you need a little quiet after the crowds at the Vatican, Ristorante Otello alla Concordia at Via della Croce, 81, is tucked in an 18th century courtyard and has been serving up consistently wonderful and moderately priced Roman fare by the same family for fifty years. Savor your lunch in the true Italian style, drawing it out and resting your feet for the afternoon ahead! 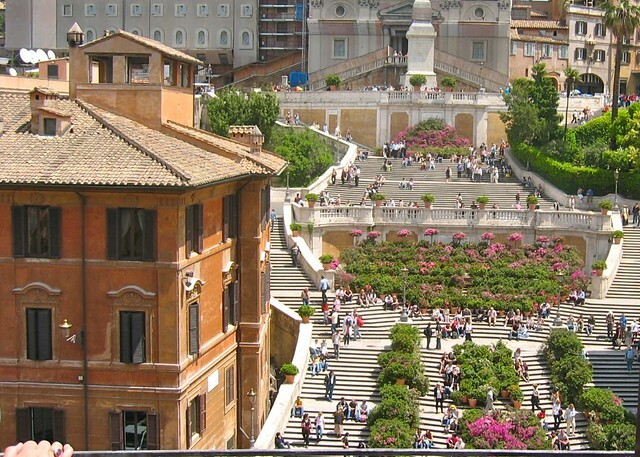 After lunch, take a walk through Piazza di Spagna to Via Condotti at the base of the Spanish Steps. This, along with the neighboring streets, is one of the most elegant shopping areas in Rome, lined with upscale designer clothing, shoe, and jewelry stores. The most historic is Bulgari, which opened in 1905, but Valentino, Armani, Fendi, Gucci, Prada, and Dolce & Gabbana also have boutiques in this swank neighborhood. It’s time to take a break and give your credit card a chance to catch its breath. From the Via Condotti neighborhood, head toward the Pantheon where, just a block away, you can enjoy what is generally considered Rome’s best espresso at Tazza d’Oro (Via degli Orfani). Better yet, treat yourself to an icy, refreshing Granita di Caffè. Rome is home to both the most famous names in fashion tiny, eclectic boutiques with unique and quality fashion and home decor. From the Pantheon, walk through the busy Piazza Navona to Via Governo Vecchio, where you can window shop (or really shop!) in this neighborhood of shops that seamlessly blend the quirky and beautiful. You’ve had a long day, so the rest of the evening will be off your feet. Freshen up at your hotel, and enjoy a relaxing dinner of traditional Roman fare in a nearby trattoria. Rome is thick with neighborhood eateries featuring classic dishes like pasta all’amatriciana or carbonara as a first course, saltimbocca, coda alla vaccinara, or abbacchio alla cacciatora as a second course, and carciofi alla giudia on the side. Note your favorites...you may want a reminder for your plans tomorrow! Rome is spectacular by day, but the magical atmosphere by night is not to be missed. The best way to enjoy the city’s breathtakingly illuminated monuments and piazzas is on a private night drive, with your driver picking you up directly from your hotel. Though the route winds its way through many of the same sites you’ve visited by day, seeing them again by night will give you the feeling of visiting the city anew. The past two days have been busy with ancient ruins, masterpieces of art and architecture, and some of Rome’s best shopping. 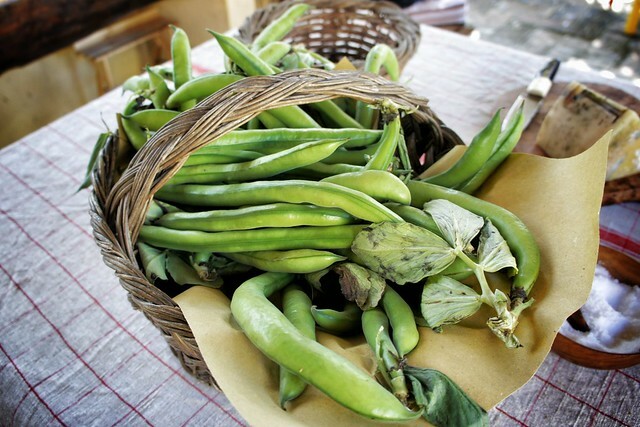 Your last morning will be dedicated to the joy of food--with a market tour and cooking class. Rome has a strong culinary tradition, interwoven with its history and culture: to understand this city, you must understand its food. With a local guide and chef, you will discover some of the best neighborhood markets to find local cheeses, meat and fish, and fruit and vegetables. From there, you will take your finds back to the kitchen, where you learn to prepare some of the most famous Roman dishes--and, of course, sample them yourself at lunch! What better souvenir of the Eternal City than a recipe to prepare from home...while you plan your next visit?